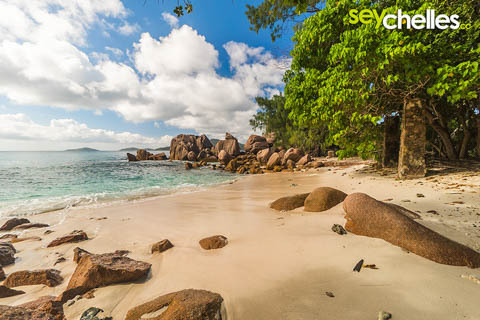 Anse Caiman is one of the beaches on La Digue that is rather hard to access. You have to leave your bike at the dead end and climb along the rocks or into the bushes on a small path. 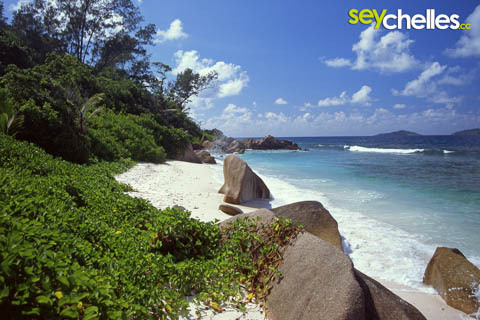 It´s also not particularly beautiful, great for swimming or offers a lot of shade compared to other beaches. What makes this beach attractive is the challenge to get there. Some people also see the path and wonder where it leads to and follows it without knowing where they´ll turn up. Once you are there, you´ll probably go back again. 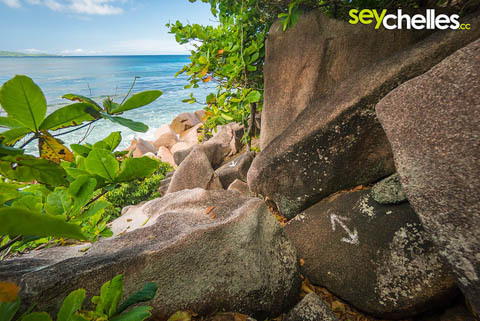 Anse Cocos is not far away, but the path is REALLY hard to find and exhausting. Even though it´s a short distance it can take hours to get there. 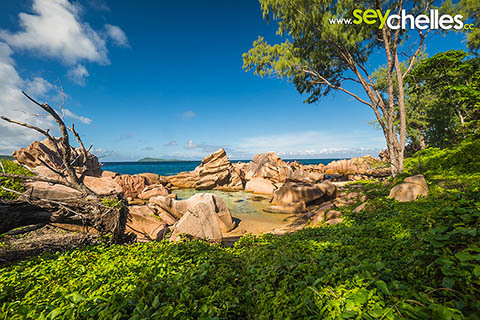 Taking the way to Anse Cocos from the other side via Grand Anse is much more beautiful and way easier.